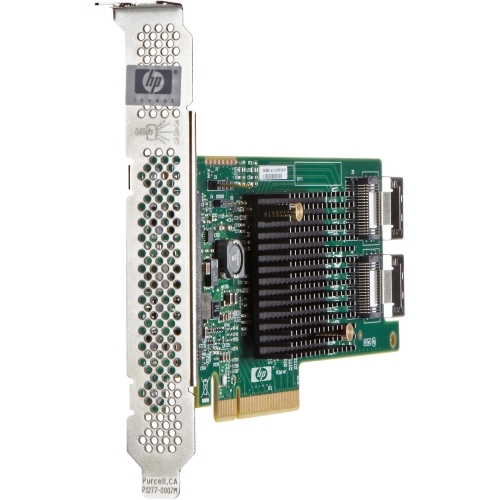 The HP H220 Host Bus Adapter is a 2X4 internal ports HBA provides customers with the flexibility and speed they have come to expect from HP. The H220 provides support for both 6 Gb SAS and SATA Hard Disk Drives. In addition, H220 HBA controller provides support for SAS tape drives. This SAS HBA is ideal for driving cost-effective and reliable scalability in today’s data centers.